The Sudanese Journal of Paediatrics encourages submissions from authors all over the world. The journal gives priority to clinical and experimental reports dealing with child health locally, in tropical regions and Africa, the Middle East and Mediterranean Region, as well as globally. Articles considered for publication include editorials, reviews, original articles, rapid communications, short reports, case reports, letters to the editor, and book reviews. 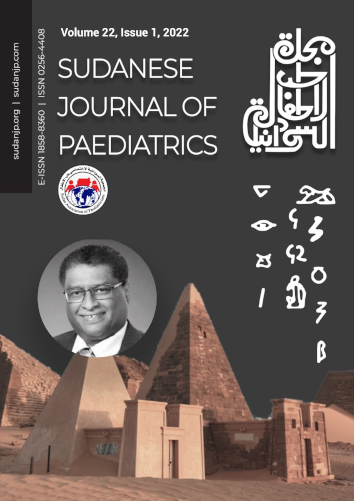 Sudanese Journal of Paediatrics is the official journal of the Sudan Association of Paediatricians.